Jeremiah Moyana, Bucho and Thomas Mbetu at Alpha Cottages. 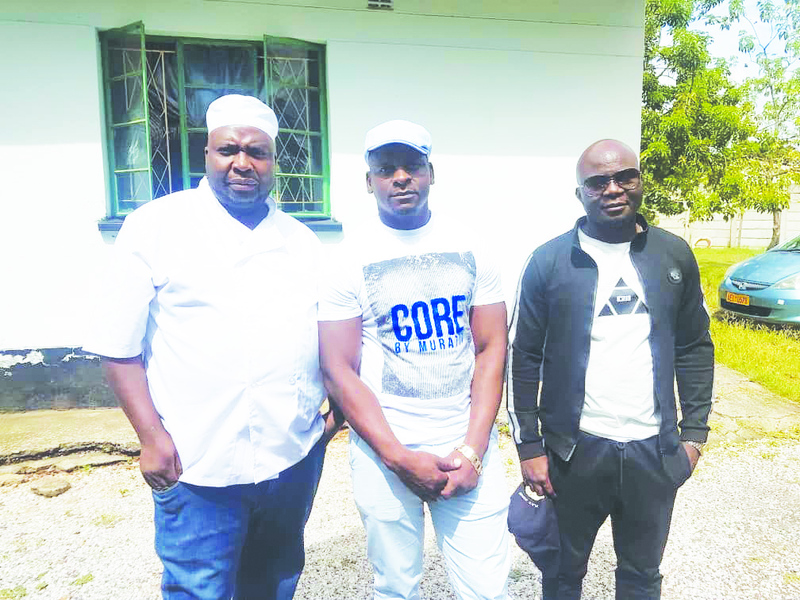 MASVINGO – In a show of great compassion, prominent Masvingo businessman Taurai Mudzwiti (40) popularly known as “Bucho” has celebrated his 40th birthday at Alpha Cottages Children’s Home. He had 41 cakes with him and most of them were shared among the home’s 32 children while others were taken to old people’s homes around the city and Ngomahuru, a center for the mentally challenged. Mudzwiti is the managing director of Bucho Private Limited. The businessman went to the party which took place on January 4, 2019 accompanied by his wife, children and friends. Masvingo Mayor Collen Maboke who was also present at the function hailed Bucho for the philanthropy. There were no speeches and children were treated to lots of food and drinks including chips and burgers. There were also jumping castles at the birthday celebrations. Bucho told The Mirror that the 41 cakes were from friends. “I just posted on my WhatsApp status that I wanted 40 cakes for my 40th birthday and I was pleasantly surprised when people responded and I received 41 cakes. “The support is overwhelming and am grateful because it is difficult for people to part with their money these days,” said Bucho. One other businessman who attended the party is Jeremiah Moyana. Mudzwiti and Moyana had previously pledged to throw a Christmas party for the underprivileged but however decided that they celebrate Mudzwiti’s birthday with children at Alpha Cottages. Mudzwiti has been involved in charity work for a long time. He donated 500 broiler chickens to be sold and raise funds for school fees for children at Alpha and 250 chickens for children at Francis Aphiri who cannot pay their fees. “I grew up in a poor background and never got the chance to go to college because my mother fell sick and I had to take over from her and work to cater for my siblings and that is where it all started,” said Mudzwiti. “I have never seen anything like this in my life and am proud of what Mudzwiti is doing for the community of Masvingo” said Maboke.